The Queen Elizabeth Rottiebear is companion toy dog breed that resembles a standard Rottweiler. They wear shining mink coats in classic black rottweiler color with high contrast tan, silver, or mahogany points. 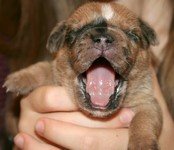 This miniature mastiff breed has some pug and Queen Elizabeth Pocket Beagle in its heritage, not Rottweiler, and that makes for a great non-aggressive temperament. We have lines of this breed maturing between 5 and 20 lbs. 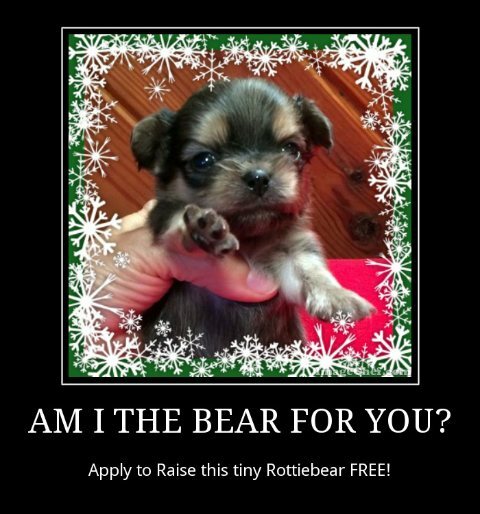 This makes the Rottiebear is a teacup to toy sized dog breed that appeals to woman or man or child. 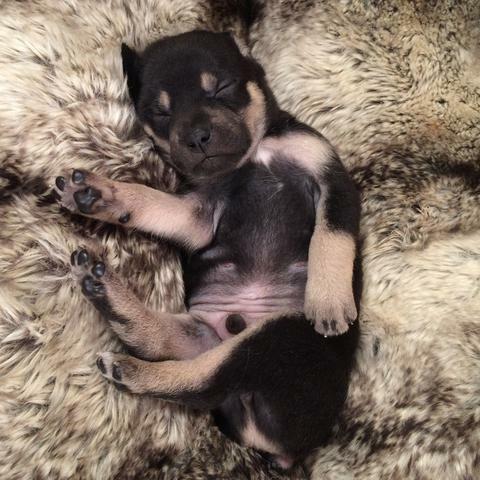 Our litters of Rottiebears have nice heads, pudgy bodies, and feel wonderful to hold. They know how to give back love and pay attention to your house training. Their good nature makes them a great choice for children and other animals. And being smaller they are well put together: not prone to joint or skeletal disorders. 1) You looking for an AKC Rottweiler or German Rottweiler puppy for sale to be an inside house dog? * won't rearrange your furniture for you--can't bump the coffee table across the floor! 2) You love a big dog but found reasons to purchase a smaller one? * the Toy Rottweiler is compact, only 8 to 18 lbs. as an adult, yet keeps the same look of the big dogs! * Do you spend a lot of time on the road? Toy Rotties are perfect travel buddies. 3) You live in an apartment and big dogs are prohibited? 4) You need an especially gentle and sensitive dog and perhaps have special needs?